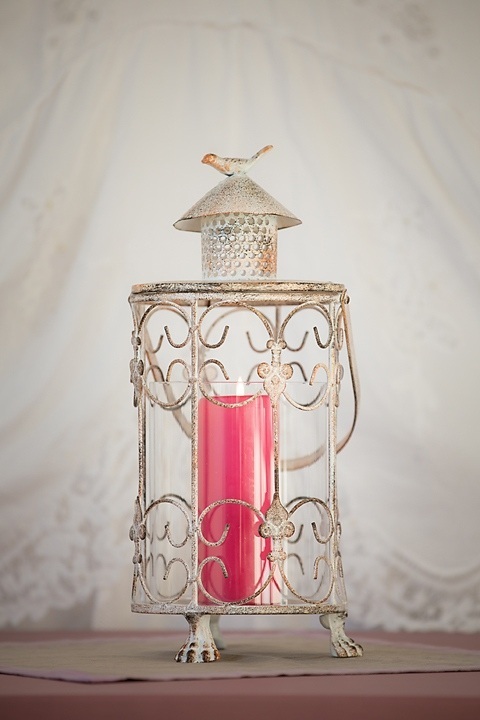 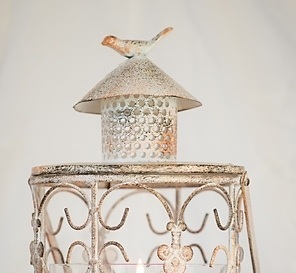 This gorgeous Rustic Metal Lantern comes in cream with a glass insert to protect the candle and a bird on the lid. 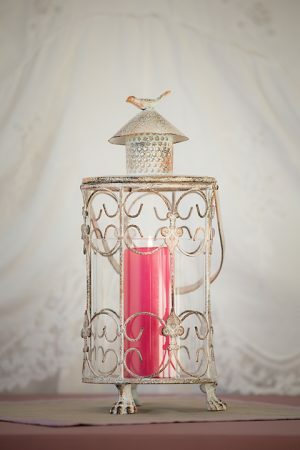 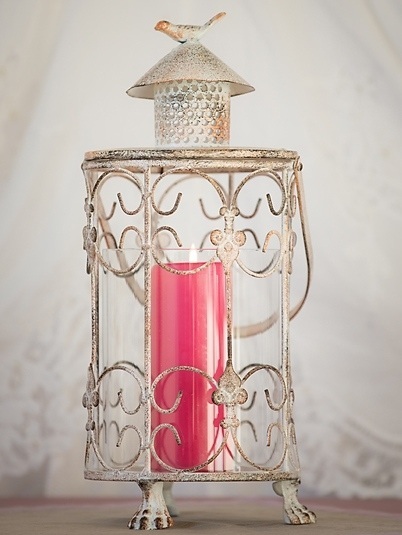 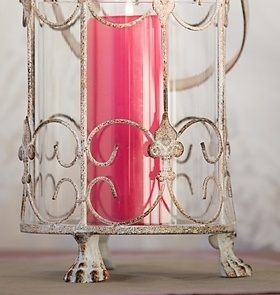 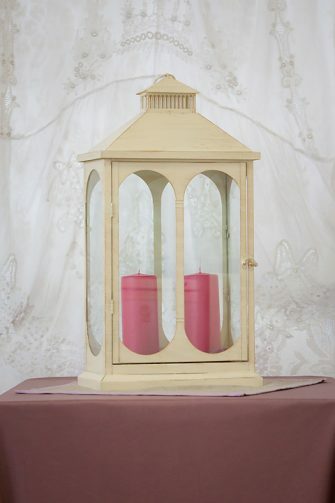 This rustic metal lantern would look great for decorating your wedding ceremony. 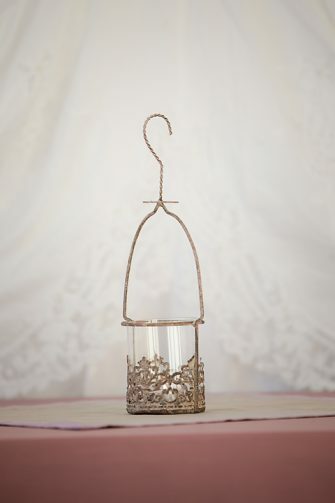 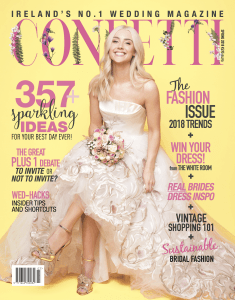 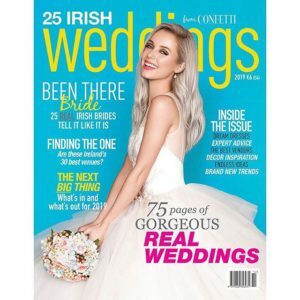 Use the rustic metal lantern along the aisle to create a charming rustic look. 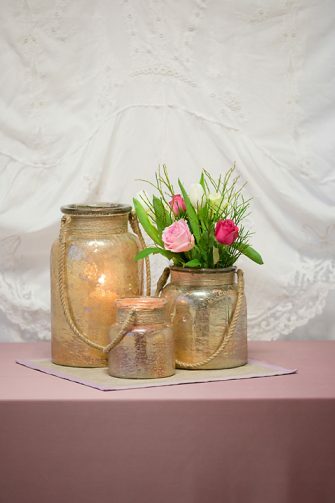 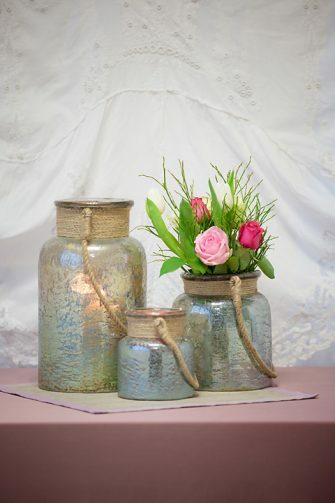 These rustic metal lanterns can also be used outside as the glass insert will protect the candle from going out.